to bring forward the insight and wisdom they have to offer. the Beauty, Sanctity, and Oneness of All Life. Dec 19-21, 2006 was our Feast of Dreams, with prominent elders of the North American First Nations peoples. Follow the links to archived events. We do not currently plan a broadcast of the 2009 event, but here is information on the event, and how you can join in!! add'l info may come soon! You can listen below to an archive of our 2007 broadcast with Jonathan. The World Sound Healing Day. On this day, for five minutes, sound healers, meditators, peace activists and lovers of all humanity from throughout the planet will send a sonic valentine to the Earth with an “AH” sound filled with Peace & Love! What better way to celebrate this joyous day then to tell the Earth you love it and generate peaceful energy throughout the planet. Suggestions for assisting the "Sound Heard Round the World", on February 14, 2009 are available at Jonathan's website, www.healingsounds.com. There are articles on the suggested sounds and visualizations—there’s even an “AH” sound, tuned to 256 cycles per second (a harmonic of 8 hz. which some believe to be the resonance of the Earth) that you can download and tone along with. Any time on February 14th that you feel guided to sound for Planetary Peace is a good time! For additional information on this event, click here or scroll down. 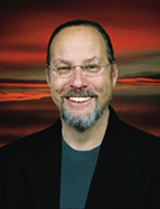 JONATHAN GOLDMAN is an international authority on sound healing and a pioneer in the field of harmonics. He is author of HEALING SOUNDS, SHIFTING FREQUENCIES and THE LOST CHORD, and TANTRA OF SOUND (co-authored with his wife Andi), winner of the 2006 Visionary Award for "Best Alternative Health Book". Jonathan presents HEALING SOUNDS SEMINARS throughout the world. He is director of the Sound Healers Association and president of Spirit Music, Inc. in Boulder, Colorado. A Grammy nominee, Jonathan has created numerous best selling, award winning recordings including “THE DIVINE NAME” (with Gregg Braden), "REIKI CHANTS", “ULTIMATE OM”, “THE LOST CHORD”, and “CHAKRA CHANTS”, winner of the Visionary Awards for “Best Healing-Meditation Album”. He is a lecturing member of the International Society for Music Medicine. For any live broadcast, click here & login. "The Sound Heard Around the World"
WHEN: February 14, 2009, join Jonathan Goldman, the Sound Healers Association and thousands of people throughout the planet as they tone an "AH" together for five minutes during that day, projecting the energy of Light & Love throughout the Planet. We have found that creating a Global Sacred Sound any time within a 24 hour period on the planet will create a coherent waveform that will affect the entire Earth. Therefore, any time you feel guided to sound for Planetary Peace on February 14th is a good time! You will actually experience generating a field of transformational energy as this occurs. In addition, local toning groups will be occurring throughout the Earth at various times during that day with the intention of assisting planetary consciousness through sound. WHY: To project peace throughout the planet. What better way to celebrate this joyous day of Valentine’s Day then to project Peace to Mother Earth and generate peaceful energy throughout the planet with sound! Sound coupled with intention has the ability to heal and transform. We will sound an “AH” sending a “Wave” of Sound that will resonate throughout the planet. 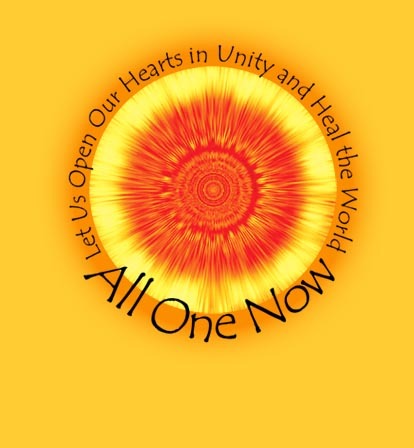 Now is the time for you to be part of the Celestial Choir and resonate together for World Sound Healing Day. We can create major positive shifts on our beloved planet. Through sounding together we will make a difference. HOW: Sound the heart sound “AH” for 5 minutes We will simply sound an “AH” filled with the intention of Peace and Love for 5 minutes at a time that is convenient for you. The “AH” is a universal, non-denominational heart sound that when projected with focused energy is extremely powerful and effective. For more information which you may find useful, please visit this link: www.healingsounds.com. There you will find a "Planetary Healing Sounds" section with articles on suggested sounds, visualizations and toning techniques as well as an “AH” sound you can download and tone along with.